Because the religious exemptions for vaccination are so prone to abuse, we should remove them. The article uses three pieces of evidence to support that claim. First, it examines survey data for the reasons people do not vaccinate. Generally, the reasons people give – like in the New Mexico survey – are safety concerns, not religious reasons. Second, it surveys the positions of established religions and what they say about vaccines–something covered in a recent post in this blog, although the coverage is a bit different. As part B will explain, our jurisprudence does not allow courts to refuse an exemption to someone just because the religious they officially belong to does not prohibit vaccines. But if many of those using a religious exemption belong to religions that do not oppose or even warmly embrace and support vaccines, the religious grounds for the exemption are at least a little suspect. Similarly, Jewish and Muslim scholars have declared that the presence of pork gelatin in vaccines is not a problem for the believer, the vaccines may be used in spite of the prohibition on eating pork. The Pontificate Academy for Life, speaking for the Catholic Church, confirmed that it’s permissible – even a moral responsibility – to use even vaccines derived from cell lines taken from legal abortions in the 1960s (although it criticized the use of the cell lines). The starting point is that states are not required to provide a religious exemption. But today, all but two states – Mississippi and West Virginia – offer a religious exemption, a personal belief exemption, or both (see Appendix, pdf). In states that offer a personal belief exemption, there would be no need to lie. States that do not offer such an exemption, but do offer a religious one, can be roughly grouped into two categories. Some states require the person requesting the exemption to show the sincerity of their belief – that’s true, for example, of New York, North Carolina, and Maryland. Others do not – that’s true, for example, of Wyoming, Florida, and Arizona. Many states used to require membership in organized religion to get an exemption, but that requirement was struck down by multiple courts as violating the equal protection clause of the 14th amendment, since it discriminated in favor of organized religion (e.g. Dalli v. Board of Ed. 358 Mass. 753, 754 (1971). In states that do not require a show of sincerity, several courts determined that officials may not examine the sincerity of the belief: if a person declares that their reasons for asking for an exemption are religious, officials have to accept that (e.g. LePage v. State of Wyoming Department of Health, 18 P.3d 1177, 1180 (2001)). In other words, there is no way to prevent lying in those states. In states that require sincerity, it’s more possible to prevent abuse. New York is known as a hard state to get a religious exemption in, and quite a few claims are rejected on the grounds that the real reason for the exemption request is not religious (See: Farina v. Board of Education of the City of New York, 116 F.Supp.2d, 503 (2000)). But even in those states there are limits to the ability to police religion. For example, someone belonging to a religion that supports vaccines can still claim an exemption on religious grounds, if their own personal version of the religion is sincerely opposed to vaccines. Or at least, if they convince the court that that’s the case. For example, in Berg v. Glen Cove City School Dist., 853 F. Supp. 651, 655 (E.D.N.Y. 1994), the court upheld an exemption request by Jewish parents even though a Rabbi submitted an opinion that “there is nothing in the teaching of the Jewish religion that would proscribe immunization for children.” The court believed the parents’ claim that their understanding of Judaism forbade vaccines; and that was enough. These very real limits to legal interpretation leave the religious exemption very vulnerable to abuse. C. What Should Be Done? Note that this article does not focus on the question of whether it is appropriate to allow the parents’ religious belief to deprive the child of protection against disease. That is a legitimate argument, and there are reasons to argue against it. But for the moment, the article assumes that religious values are important enough in the United States reality that religious exemptions will exist if states are willing to grant them. But given the potential for abuse, the article argues, and the danger of outbreaks if exemptions increase (pdf), states may want to act. There are three ways to solve the problem of abuse of religious exemptions. Each of them is much more likely to come from the legislature than from the courts, and any will involve a political battle. First, states could adopt a narrow religious exemption that requires a show of sincerity and enforce it strictly, following New York’s example. That would reduce the danger of abuse and the number of exemptions, since people will not take exemptions of convenience and exemptions would be denied to those unable to prove sincerity. Less exemptions means higher rates of immunization – or at least, less non-immunized children in school – reducing the chances of an outbreak. On the other hand, as explained, the danger of abuse is still present. There are two other problems with this approach. First, policing sincerity is very, very close to policing religious beliefs. The reason courts put obstacles on policing religious beliefs is because courts are uncomfortable – correctly, in my view – to allow state officials to play conscience police. It’s not the state’s business whether your beliefs deserve protection, whether they are good enough to count as religious beliefs. It may also be unconstitutional (see: Alicia Novak, The Religious and Philosophical Exemption to State-Compelled Vaccination: Constitutional and Other Challenges, 7 University of Pennsylvania Journal of Constitutional Law 1101, 1115(2005)). Second, this approach rewards more sophisticated liars or those that can hire and afford a qualified attorney. Second, states could only offer medical exemptions. This is supported by Skeptical Raptor, and also, for example, by Dr. Paul Offit. This would have the advantage of protecting the largest number of children and reducing the rate of exemptions. This is, however, a very strong intrusion into parental rights. It will also force parents who truly believe vaccines are toxic to either somehow present a false medical exemption or homeschool. This may negatively affect the career prospect of such parents and their income, not necessarily a good thing for the children. It may also deprive the children from public schooling. Or third, states could get rid of religious exemptions and offer only a personal choice exemption. The risk, of course, is that this will lead to high rates of exemptions, with children left vulnerable to disease and potentially a risk of outbreak. One way to handle that is by making personal choice exemptions hard to get – by imposing educational requirements (as proposed by Professor Ross Silverman and implemented by several states, including Oregon, Washington and California), and requiring an annual renewal. But a personal belief exemption would still probably lead to more exemptions than a medical exemption only situation. My personal tendency is towards option 3. But I admit I am still conflicted and unsure about that. Note: the full article by Dr. Reiss, on which this post was based, is online here. 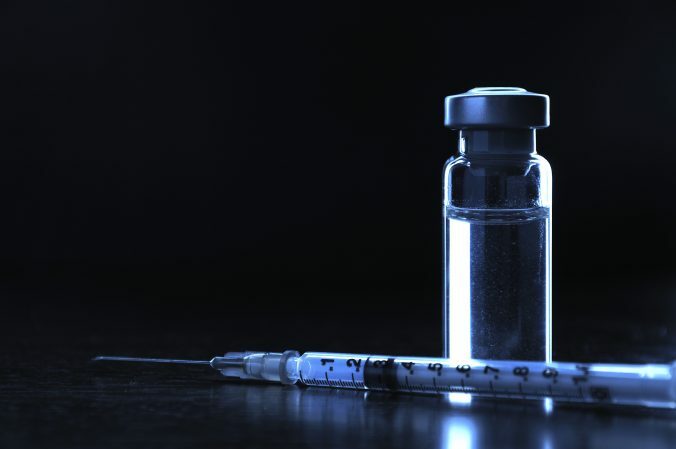 Brown KF, Kroll JS, Hudson MJ, Ramsay M, Green J, Long SJ, Vincent CA, Fraser G, Sevdalis N. Factors underlying parental decisions about combination childhood vaccinations including MMR: a systematic review. Vaccine. 2010 Jun 11;28(26):4235-48. doi: 10.1016/j.vaccine.2010.04.052. Epub 2010 May 14. Review. PubMed PMID: 20438879. Kennedy A, Basket M, Sheedy K. Vaccine attitudes, concerns, and information sources reported by parents of young children: results from the 2009 HealthStyles survey. Pediatrics. 2011 May;127 Suppl 1:S92-9. doi: 10.1542/peds.2010-1722N. Epub 2011 Apr 18. PubMed PMID: 21502253. Previous PostPrevious Crowd funded HIV vaccine–more junk science!